Government today told the Supreme Court that Kohinoor diamond was neither “forcibly taken” nor “stolen” by British rulers but given to the East India Company by the rulers of Punjab. “Kohinoor cannot said to be forcibly taken or stolen as it was given by the successors of Maharaja Ranjit Singh to East India Company in 1849 as compensation for helping them in the Sikh wars,” Solicitor General Ranjit Kumar told a bench headed by Chief Justice T S Thakur. The apex court then asked whether the government was willing to stake a claim to the Kohinoor, one of the most valuable diamonds in the world. The Solicitor General told the apex court that the demand to get back Kohinoor have been raised time and again in Parliament. “If we claim our treasures like Kohinoor from other countries, every other nation will start claiming their items from us. There will be nothing left in our museums,” Solicitor General said. Editor’s note: This argument is ridiculous as India has not stolen any artifacts from other countries, nor has India ever ruled over other nations imperially. On the other hand, the wealth of India had been systematically stolen by the British and sent abroad for hundreds of years. He said this was the stand of Ministry of Culture while the response from Ministry of External Affairs, which is also a party, is awaited. The bench, also comprising Justice U U Lalit, then asked the Solicitor General to file a detailed reply within six weeks. “We would like to know if there is a claim the government wants to make? See, we are not inclined to dismiss this plea. If we dismiss it, that country (United Kingdom) may say that your Supreme Court has rejected the plea and it may lead to denial of the government’s legitimate claim. “You cannot afford dismissal as it may be treated as an obstruction in your way. You formulate a response and file it in six weeks,” the bench observed. The apex court had asked the government to clarify its stand on a PIL seeking return of Kohinoor diamond to the country. Kohinoor, which means Mountain of Light, is a large, colourless diamond that was found in Southern India in early 14th century. 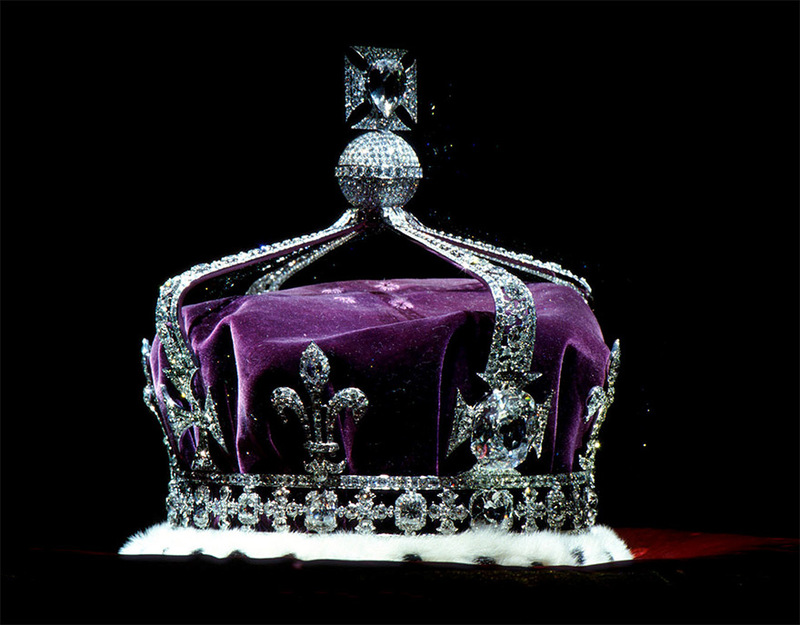 The 108-carat Kohinoor gem, which came into British hands during the colonial era, is the subject of a historic ownership dispute and claimed by at least four countries including India. The court was hearing a PIL filed by All India Human Rights and Social Justice Front seeking directions to the Indian High Commissioner in United Kingdom for the return of the diamond, besides several other treasures. The PIL has made Ministry of External Affairs and Ministry of Culture, High Commissioners of UK, Pakistan and Bangladesh as parties in the case. The famed Kohinoor diamond was neither stolen nor forcibly taken away and India should not stake claim to it, the Central government has told the Supreme Court on Monday. The statement was made by Solicitor General Ranjit Kumar, who was appearing for the government in the court, The Times of India reported. He is reported to have told the court that the 105-karat diamond, which has become a part of popular culture, was handed over to the East India Company by Punjab’s Maharaja Ranjit Singh. 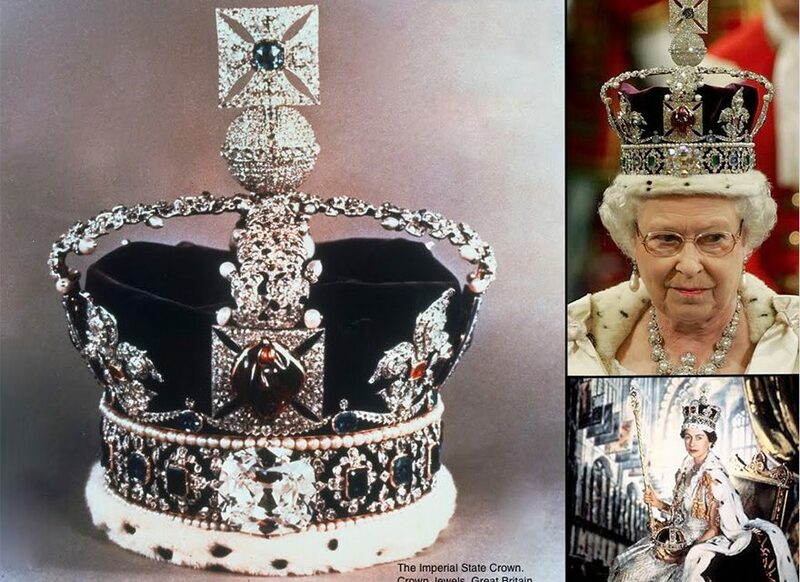 It is now set in the crown that was worn by Queen Elizabeth’s mother until her death in 2002, and is on public display in the Tower of London. The Supreme Court on 8 April had asked the government to clarify its stand on a PIL seeking return of the Kohinoor diamond in the country. A bench headed by Chief Justice T S Thakur, which did not issue notice on the PIL, asked the Solicitor General to seek instructions in the matter within a week. “Everybody is claiming the Kohinoor. How many countries are claiming Kohinoor? Pakistan, Bangladesh, India and even South Africa. Somebody here is also asking for the Kohinoor. Do you know about it?,” the bench asked the Solicitor General. Solicitor General Ranjit Kumar said he was unaware about it and would need time to seek instructions and get back. During the hearing, the bench, also comprising Justices R Banumathi and UU Lalit, said there has been a press report attributing statements to the British Prime Minister quoting him as saying, “if we were to accept such demands, British Museums would be empty”. “Why don’t you approach the government? Hasn’t the government taken up the matter? The government has done something. They have done whatever it could,” the bench told the petitioner. The apex court was hearing a PIL filed by All India Human Rights and Social Justice Front seeking directions to the High Commissioner of United Kingdom for return of the diamond besides several other treasures. Maharaja Ranjit Singh, who had handed over the diamond, in turn had taken it from an Afghan king who had sought sanctuary in India. The diamond had been an heirloom of the Afghan monarchy and before then was in Persian royal hands, but its true origins remain a mystery. 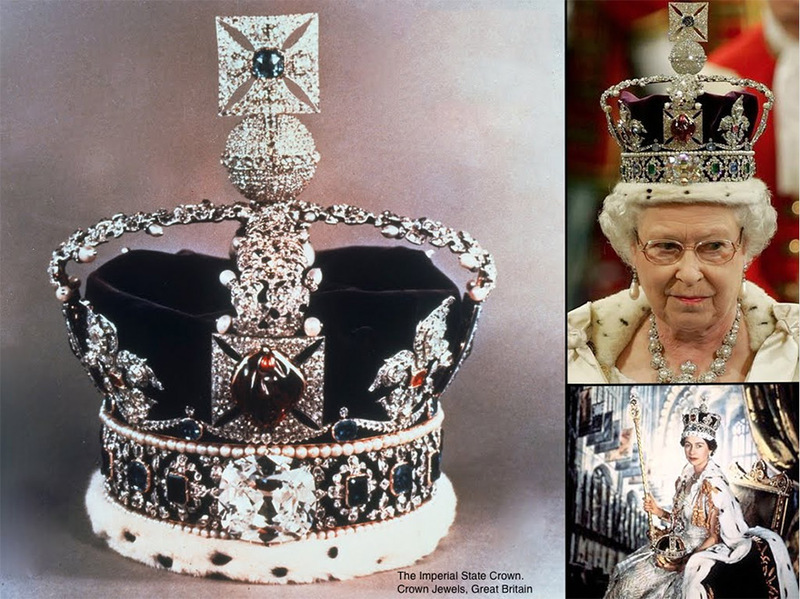 Seated comfortably with the Crown jewels of the Queen mother at the Tower of London, the Kohinoor diamond has been a bone of contention between the Indian and the British governments for decades. History has it that the British first came into possession of the diamond in 1850 after the conquest of Punjab, then under Maharaja Ranjit Singh. The diamond, however, changed hands several times before finally coming into the ownership of the British. The Kohinoor was first mentioned some 4000 to 5000 years back in some Sanskrit texts. At that period though, it was known by the name ‘Samantika Mani’ (prince and leader among diamonds). According to some myths, the diamond was in the possession of Hindu God Krishna. The origin of the diamond has been placed in the Golconda in Andhra Pradesh. It was mined from the Rayalaseema diamond mine when it was under the rule of the Kakatiya dynasty. Under the rulership of Alauddin Khilji, the second ruler of the Delhi Sultanate dynasty, the Khiljis made successful raids in Southern India. It is believed that the Khiljis came to acquire the diamond in one such expedition at Warangal in 1310. The diamond then kept switching ownership of the succeeding rulers of the Delhi Sultanate. In 1526 Babur defeated Ibrahim Lodi, from whom he acquired the diamond. Bubur mentions the diamond in his memoir, the Baburnama. After Babur, there is record that it adorned Shah Jahan’s Peacock throne. The Persian monarch, Nadir Shah invaded the Mughal empire in 1739 and therein obtained the diamond. Legend has it that it was Nadir Shah who gave the diamond its current name, ‘koh-i-noor’, which in Persian means mountain of light. Nadir Shah was assassinated in 1747 and his empire disintegrated. After his death, the Kohinoor came into the acquisition of one of his generals, Ahmad Shah Durrani. One of his descendents, Shah Shuja Durrani gave the diamond to Ranjit Singh of Punjab, who in return helped Durrani win back the throne of Afghanistan. The gem called Kohinoor which was taken from Shah Shuja-ul-Malik by Maharaja Ranjit Singh shall be surrendered by the Maharajah of Lahore to the Queen of England. Lord Dalhousie, in 1851, arranged for the Kohinoor to be presented to Queen Victoria by Duleep Singh, successor of Ranjit Singh. The presentation of the diamond was a grand event organized in Hyde Park, London. Since then, the Kohinoor has remained in England. The government of India on Monday, told the Supreme Court that the Kohinoor was not taken away by the British government, but was given as a gift to them by Maharaja Ranjit Singh. India should not stake claim to the famed $200 million Kohinoor diamond as “it was neither stolen nor forcibly taken away”, the centre told the Supreme Court on Monday. Solicitor General Ranjit Kumar, appearing for the government on Monday, said this was the stand of the Culture Ministry. He also told the court that the 105-karat Kohinoor diamond was handed over to the East India Company by Maharaja Duleep Singh. Incidentally, in 1850, the Marquess of Dalhousie, who was the British governor-general of Punjab, forced Punjab’s Maharaja Duleep Singh to ‘gift’ the diamond to Queen Victoria. Solicitor General Kumar on Monday also also said the response of the Ministry of External Affairs on this issue is yet to come. The Supreme Court on Monday asked the Centre to file a detailed reply within six weeks. I’m sad to learn the Indian Government now decided that Koinoor Diamond wasn’t stolen by the British. 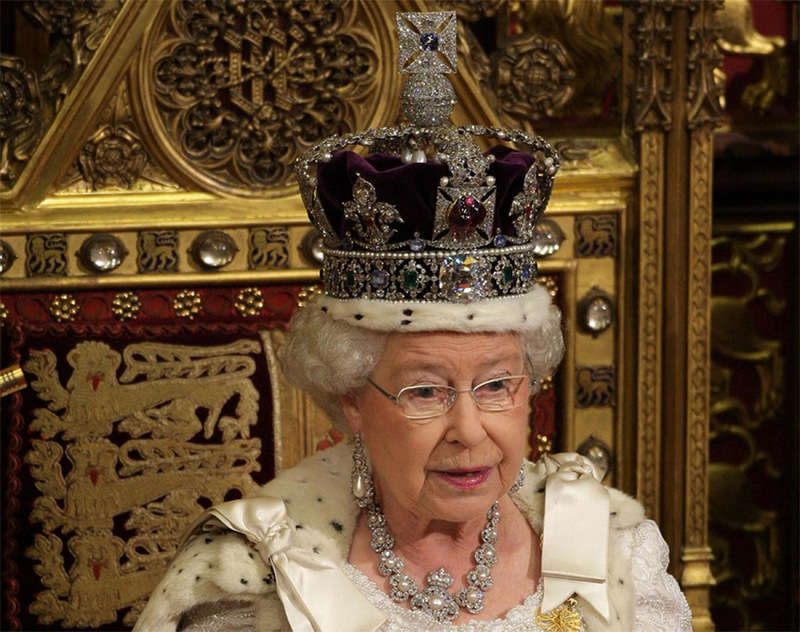 But I’m been hearing from my grandfather & Great grandfather, that this diamond wasn’t gift to British Queen . From Bombay (Mumbai ) docks British ships use leave for the UK filled with Gold, gems and silver everyday. This’s the only country has ruled India over 200 years, wiped out India and it’s people of good living! Truly sad why such Indian Government is making this decision. What was said to Modi the Prime Minister when he came to UK by the official of UK Government. .only he knows and his aids! Come India how long you’ll be taking bashing from others , don’t you think it’s enough and people of India deserve better life!! Very interesting article, however it displays a thirst for valuables and one not conducive with an endeavour to halt samsara. Too many articles on this site are more interested in Indian national identity and in this light I can see no benefit in any spiritual progress. better to look at the present wealth of India “given” by the corrupted politicians to foreign interests. We r ‘special’ ‘senseless’ ‘self respectless’ people.We help in vandalising and looting our country to this day than preventing.Our history is replete with our people helping invaders.We keep ‘mum’when outsiders loot officially too. The Kohinoor Diamond is an infamous gem as all the persons who owned it met with misfortunes. It will be better not to bring it back to India. Indian govt should do their homework, Warangal temple was looted and it was stolen, like many other treasures. And I dont know how they argue it was a gift by a Punjab king, its a shame. Really hoping supreme court has a morally strong and brave enough attorney to bring it back. And the “british royal” wear stolen artifacts with so much pride!! its funny. May God bless their souls and make them more human. RIGHT ON India!! Press and press hard. Don’t let up. These people need to be stopped in their tracks. We are trying to do our part here in America. It is said we are only 3%, but the disgust throughout the entire country leads me to believe that number is significantly more. As the whole world rises to the occasion, we will soon be rid of these creatures. 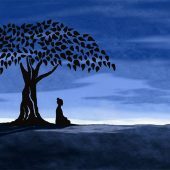 Koh-i.noor is not Shyamntaka Mani. Shyamantaka Mani brought prosperity to the possessor. Whereas, if you read history, Kohinoor has only brought calamities. In fact, the British empire started crumbling after it was possessed by UK. My personal suggestion would be to leave it wherever it is and proceed to acquire the ancient knowledge, we have lost. 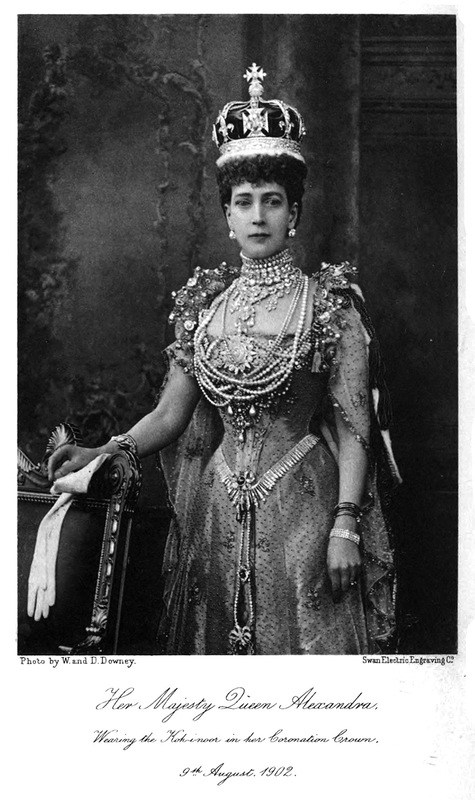 It is a fact that most of the wealth that the British royals have in their custody today was robbed by them from Indians and from Indian soil during the period of their atrocities in India. I as an Indian do not even consider them as royals, they were robbers. Let British be ruined, the thieves. it was forcibly taken ,means you can say stolen as well. India never donate or has given any gift as diamond to any nation . The immovable properties in India were also gifted to the British rulers at that time.They left the country by leaving our lands or immovable properties.Just like that the movable property Ko-hi-noor also should be taken back.Yes there are other fake claimants or those fake claimants supported by Britishers are originals of our country.Just like immovable property like lands came to our Indian Govts the Kohinoor though movable property should be brought back.More over who knows whether that gift also was given under duress by Indian rulers? Kohinoor diamond has become global with possession by various competative, power-hungry and merciless traders/ rulers that it has lost its sanctity and is merely an instrument on display.For India the sanctity lies in spreading its values, cultures, spirit (all pervasive consciousness), thoughts, philosophies, languages,:art, music, yoga, poetry, legends, awakened scriptures, ayurveda etc etc. The un8fying principle that has kept living civilization of India in order is Dharma. 1. : Kohinoor and other precious ietms are the property of the Indian public and without asking the public of India even the kings or the rulers are not allowed to touch the property of the state or country. 2.: Under the British rule and force to gain as a gift under pressure is not called a gift but theft, while sword or guns hanging on the head in exchange of ones life. 3. India divided into Pakistan, Bangladesh were also the doing of the British politics not that long ago. These two prviously part of Inida , new country has no right to ask for the Kohinoor. 4.:Hence India is the right full owner of the ancient stone Kohinoor and Kohinoor should be returned to India quick as possible with all the prescious items taken away by the British. NextWhy Lord Vishnu is Called as Shunyah or Zero in the Vishnu Sahasranama?